There are 27 slides in Koo's presentation. It is well worth a closer look. 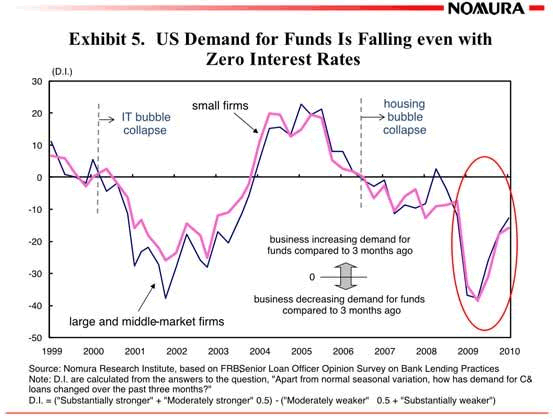 Inquiring minds may be familiar with the line in hot pink in the chart immediately above. I have commented on it many times. 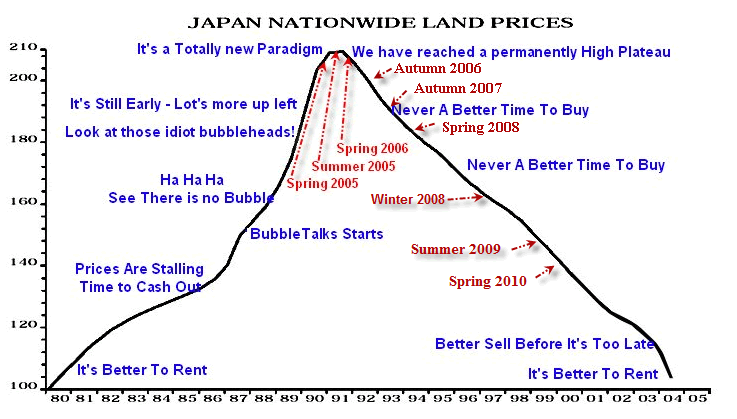 I called the tip of the housing bubble in summer of 2005 based on the Time Magazine Cover "Why We're Going Gaga Over Real Estate" and have been updating the chart ever since. Here is a fresh update made just today. I moved the arrow another notch. The reason the recession is different is this is credit bubble busting depression not a recession. The effects are masked because of food stamps, unemployment insurance, and because of foreclosure policy. Unlike the soup lines in the 1930's which were very visible, Food Stamp Usage at a Record 39 Million, 14th Consecutive Monthly Increase is not visible. 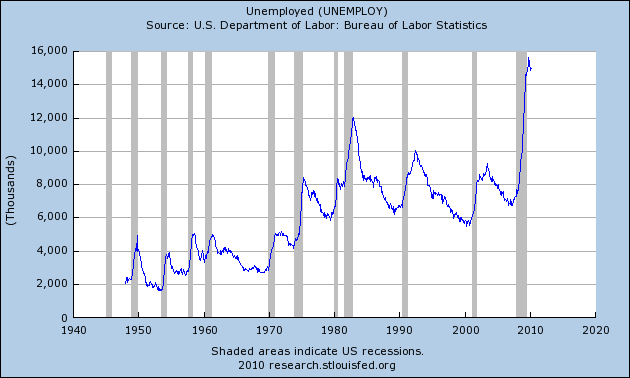 Likewise, 14 million unemployed are not readily visible because of unemployment insurance and because many are living in their homes for free courtesy of banks that have not foreclosed long after people stopped paying their mortgage. That is the extent of my agreement with Koo. 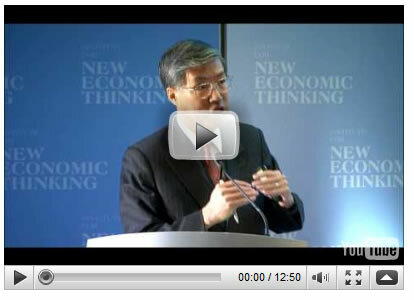 Koo blames cutbacks in fiscal stimulus in 1999 and 2001 as the reason Japan remains mired in deflation. I do not buy it. Arguably Japan picked two of the worst times to get fiscal religion (heading right into a dotcom bust and headed into the 911 attack). 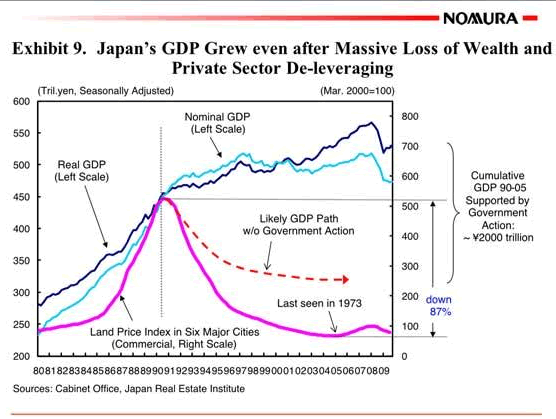 However, Japan is deep in debt to the tune of 200+% of GDP and two short cutbacks in spending and stimulus (both aborted) certainly did not cause that problem. The moment fiscal stimulus stops economies are virtually guaranteed to relapse until the core problem is resolved. 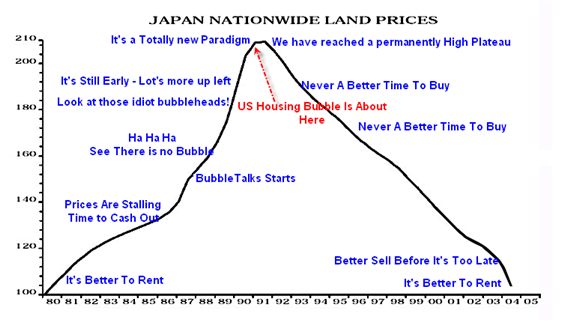 The problem is Asset Bubbles, Malinvestments, and debts that cannot possibly be collected. Bailing out the banks did nothing to fix these problems. Consumers are still saddled in debt, in underwater mortgages, with no job. Moreover, there is no driver for jobs given rampant overcapacity in nearly every sector. Banks do not want to lend in this kind of environment so they don't. Businesses do not want to expand in this kind of environment so they don't. Meanwhile the Obama administration is making matters worse by increasing taxes on small businesses and proposing everyone pay for health insurance, with businesses forced to offer a plan or pony up part of the cost. This too is giving small businesses an incentive not to hire. Housing prices are too high yet the Administration and Congress are hell bent on propping up prices. The solution is to let prices fall until they are affordable. The irony is after all the bitching we have heard and all the "Affordable Housing Plans" out of Congress, we have a golden opportunity for affordable housing and no one wants it. Final analysis shows the U.S. Faces Second Lost Decade "Because" of Misguided Stimulus, not as a result of pulling stimulus too early as Koo, Krugman, and Romer suggest. 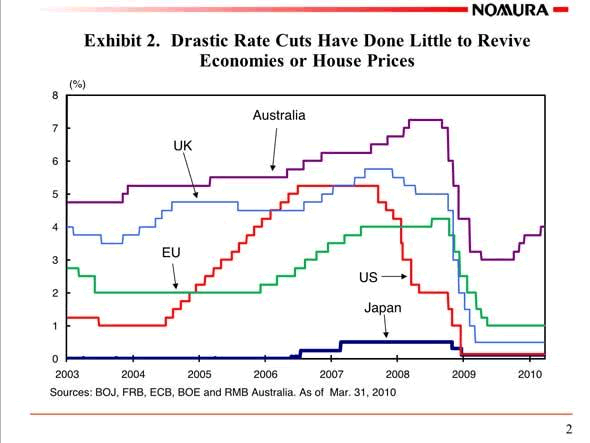 If that sounds wrong then just take a look at how we got here: Hoping to end the recession of 2001-2002, the Fed slashed interest rates, held them too low, too long, we had the mother of all housing/credit booms and the global economy crashed. The US has nothing to show for all that stimulus other than a wrecked economy, massive debt that needs to be written off, and extremely wealthy parasite bankers bailed out by consumers after contributing to these problems. 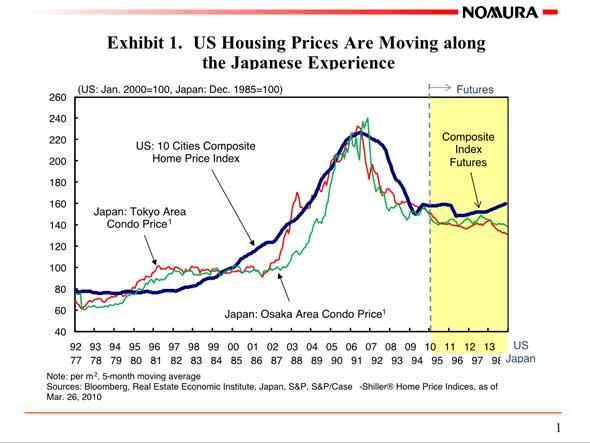 Koo, Krugman, and Romer think more spending and more debt will solve the problem although Japan has proven without a doubt that such attempts are economic madness. What got the world out of the great depression certainly was not insane monetary stimulus but rather WWII. War destroyed the productive capacity of much of the world, and with US productive capacity completely untouched and with returning soldiers ready to start families, the US led the world out of depression. Let's hope it does not come to war again to solve these problems. Over 10 years ago, the advice from Greenspan and the Fed for Japan was to write off the debts so that a recovery could begin. Ironically this is one of the few things Greenspan ever got right and Koo cannot even see it staring smack in the face of debt to the tune of 200% of GDP. Stepping back for a moment, the best thing to do is not blow bubbles in the first place. Yet the Fed seems hellbent on blowing another. The result will not be any better this time than either of the last two.